As the first products created back in 2008, these Truce products have stood the test of time to become the trusted favorites in homes across the country due to their safe and simple recipes. This Home Cleaning Bundle contains 1 All-Purpose Cleaner spray, 1 Wood Cleaner spray and 1 Scouring Powder shaker. They are sure to be the perfect combination to provide a deep clean to every room and surface in your house (without the added harmful chemicals and toxins, of course). 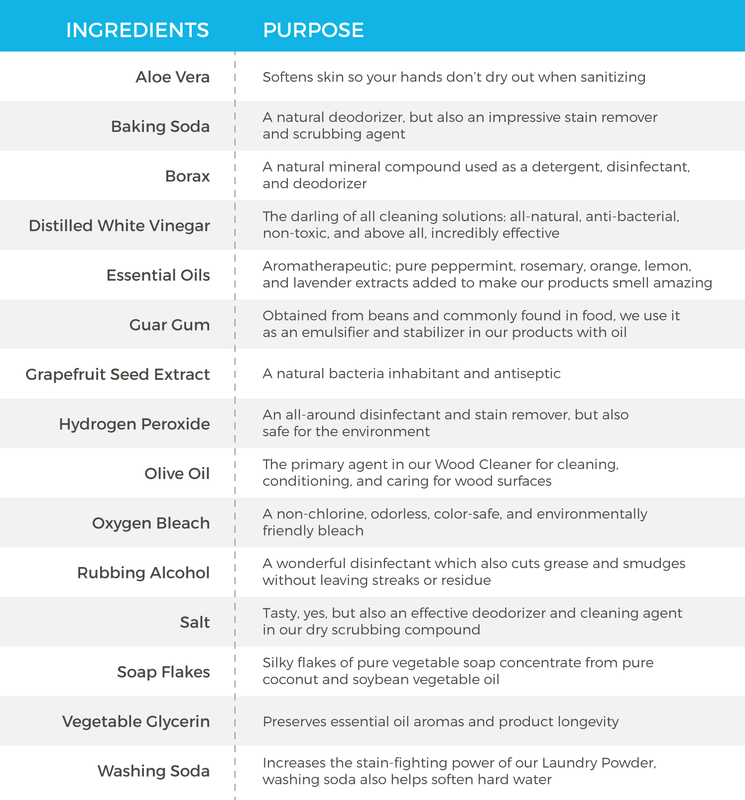 If you are ready to cut the chemicals out of your household and make the leap to a toxin-free life, try the cleaning bundle that started a movement: the Complete Home Cleaning Bundle from Truce. Scouring Powder: Simply shake or pour a small amount onto a sponge or scrub brush then start working away on bathroom surfaces, shower walls, kitchen sinks, and other similar areas. For an extra punch on tough jobs, combine the scouring powder with Truce All-Purpose Cleaner and let sit for about 5 minutes prior to scrubbing. Wood Cleaner: For the first use on a particular surface, spray wood cleaner onto a dry cloth and work into the surface then wipe away for a warm, soft glow. For subsequent uses on that same surface, it is safe to spray the product directly onto the surface rather than the dry cloth. All-Purpose Cleaner: All non-porous, washable surfaces including, glass, granite, tile, steel, stone, countertops, floors, walls, tables, chairs, showers, tubs and more. Simple spray the all-purpose cleaner onto a cloth or directly onto the surface and begin cleaning.